The Eagles and 30 0ther NFL teams attended Christian Hackenberg’s workout today at Penn State’s pro day, and the former Nittany Lions quarterback can only hope they all saw his workout the way one did. 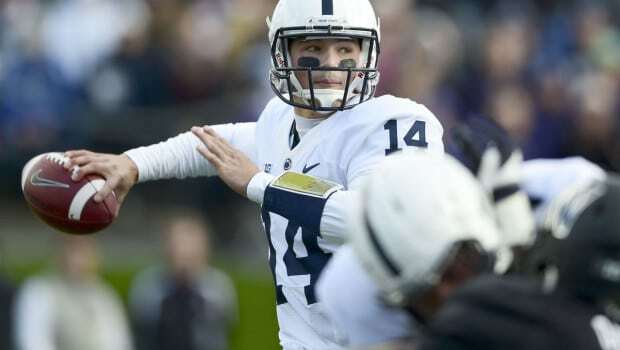 By one account of Hackenberg’s pro-day throwing session, he completed 44 of 52 passes, including 21 consecutively. Hackenberg is considered to be at least one tier below the consensus top QBs (Jared Goff andCarson Wentz) in this year’s class, and it’s unlikely that a pro day, even a stellar one, will have a profound effect on his stock. Hackenberg’s struggles at Penn State the last two seasons have led to more of a developmental scouting label on his talent. Accuracy is one concern; he completed a career-low 53.5 percent of his passes last season, and wasn’t much better than that (55.8) the season before. Teams must also consider that he was sacked an FBS-high 44 times as a sophomore in 2014 and more than 100 times in his career. The pressure he was under has made for a more difficult evaluation for scouts. 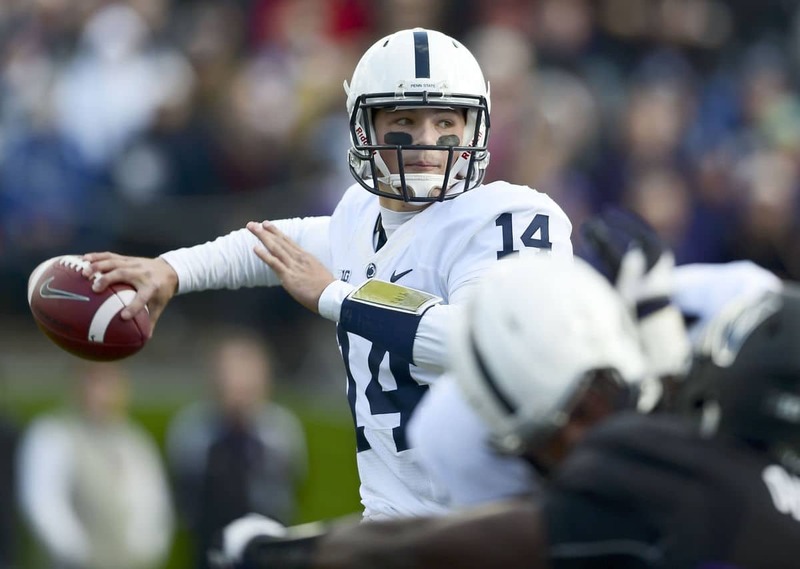 Hackenberg wasn’t the only Nittany Lions player to impress on Thursday. A scouting director told Jones that PSU’s trio of defensive line prospects — Carl Nassib, Austin Johnson and Anthony Zettel — all moved well and figure to be chosen during the draft’s second (Rounds 2-3) and third days (Rounds 4-7). Next MARCH MADNESS: GREAT DAY FOR YALE AND OTHER DOGS!